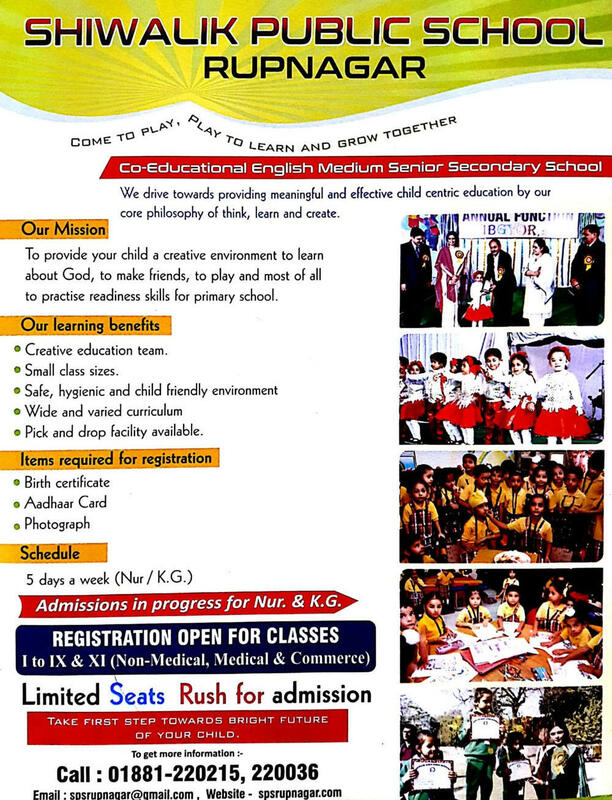 Welcome to Admission cell of Shiwalik Public School. Feel free to call or send your query through an email at any time on helpline. All queries pertaining to admissions shall be responded immediately. 1.) INTIALLY ALL THE STUDENTS ARE REGISTERED FOR ADMISSION TO ANY CLASS NO ENTRANCE TEST ARE TAKEN IN ANY OF THE CLASS ONLY ADMISSIONS ARE GIVEN AFTER TO SEE THE REPORT CARD OF THE PREVIOUS CLASS AND REMARKS . 2.) ALL THE ADMISSIONS ARE TAKEN IN ALL THE CLASSES FOR THE TRANSFER CASES ALL THE TIMES. 7. COPY OF TRANSFER ORDER IN CASE OF DIRECT ADMISSION IN CLASS 10TH AND 12TH.